Coat, New Look. Top, New Look. Skirt, New Look. Bag, New Look. Boots, Topshop. 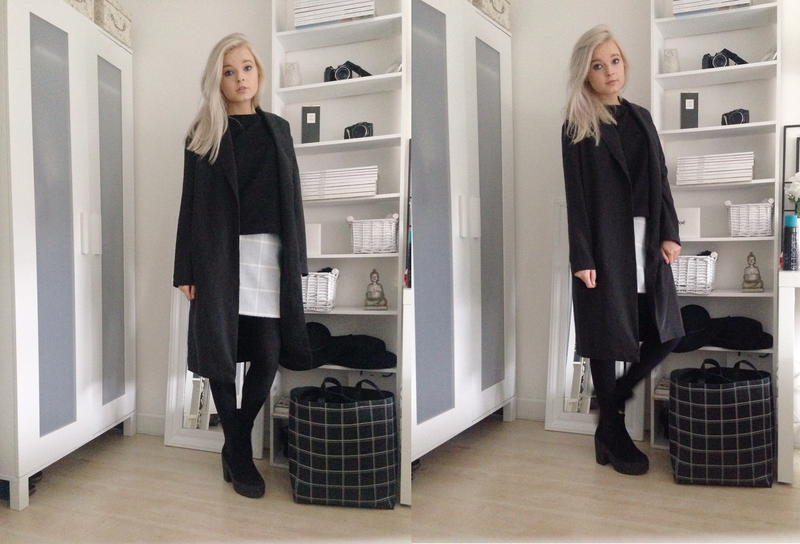 I know I am a small person, but these ootd photo's really make me see how small I am, even in platform boots. No wonder my boyfriends parents call me munchkin and my nick name throughout school was always 'little Laura'. Small people problems. Anyways, how gorgeous is this skirt from New Look which also comes in yellow and grey. I know I buy a lot from New Look ( anyone would think I work there ;) They do have some nice pieces, this black duster coat especially is a fave of mine. I went with a zero accessorised look. Less is more and I like minimal jewelry. Anyway all the focus is on my skirt which makes me feel like a more edged up version of Cher Horowitz. Can't beat that. Fab outfit....love the coat too!